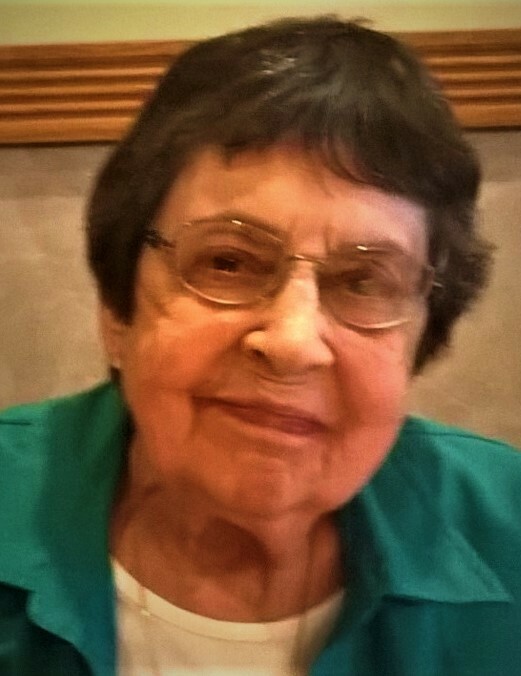 Obituary for Mary Lou (Hershey) Brown | McKee Mortuary Inc.
Mary Lou (Hershey) Brown, 87, North Manchester passed away at 8:05 a.m. on March 30, 2019 at Timbercrest Healthcare Center, North Manchester. She was born May 24, 1931 in the foothills of eastern Pennsylvania to John G. and Mayno E. (Baker) Hershey. Mary Lou attended Manchester College where she met her future husband, Richard Brown. They had 4 children, Belinda Ann (Rock) Foust, North Manchester; Richard J. Brown, North Manchester; Amy Lou (Arnold) Prater, Silver Lake; and Andy (Jan Fahs) Brown, North Manchester; 16 grandchildren; 24 great-grandchildren and 1 great-great grandchild. She is also survived by two brothers, John W.B. Hershey, Berkley, California and Robert B. Hershey, Lititz, Pennsylvania. Mary Lou was preceded in death by three grandsons, Shane Hoffman, who passed away on March 1, 1997, Wesley Prater who passed away on June 14, 2000 and Matthew Fahs-Brown who passed away on May 17, 2016. Mary Lou was a member of Manchester Church of the Brethren, and while attending there she assisted with name tags for several years. She also volunteered at Peabody Retirement Home and was a member of the North Manchester Historical Society. Mary Lou loved to travel and did so extensively with friends through Ireland, France, England, Germany and Holland. She was an avid reader and enjoyed crosswords, current events and gardening in her English Cottage garden. She was awarded North Manchester Historical Society House of the Year in 2016. She also had a love for wildlife, bird identification, cross country skiing and homeless cat rescue. When Mary Lou was a young girl, she had the distinction of having her photograph in Life Magazine. Mary Lou left this life as she lived it, with independence, determination, grace and surrounded by her family. Family and friends may call Saturday, April 6, 2019 at Timbercrest Chapel, 2201 East Street, North Manchester, Indiana from 1:00 p.m. to 2:30 p.m. Services will begin at the conclusion of the calling at Timbercrest Chapel. Pastor Karen Eberly will officiate. For those who wish to honor the member of Mary Lou Brown, memorial contributions may be made to Wabash County Animal Shelter, 810 Manchester Avenue, Wabash, Indiana 46992 or Manchester Church of the Brethren, P.O. Box 349, North Manchester, Indiana 46962. McKee Mortuary has been entrusted with final arrangements.